Our Enhanced Category 5 patch panels surpass TSB 40A, EIA 568A, and DIS11801 category 5E standards. 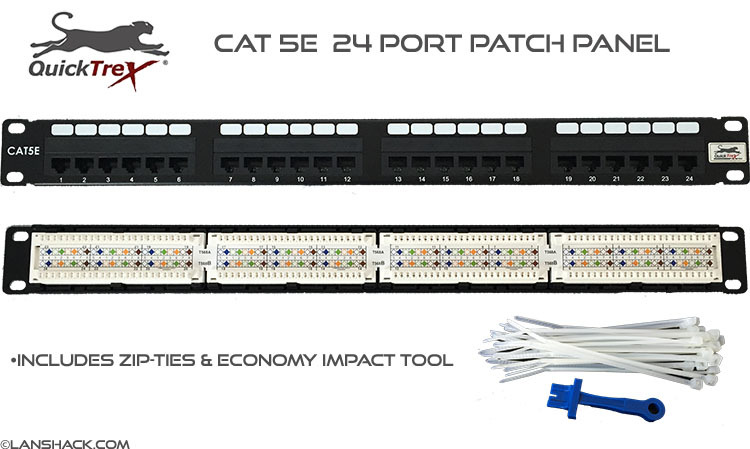 The "Enhanced" Series patch panels have been powersum frequency swept to assure performance. The patch panels feature "110" terminations for easy and trouble free installations and mounting. These patch panels have been extensively tested in the laboratory, and in the field.